One of the most versatile types of advertising are taxi tops ads. 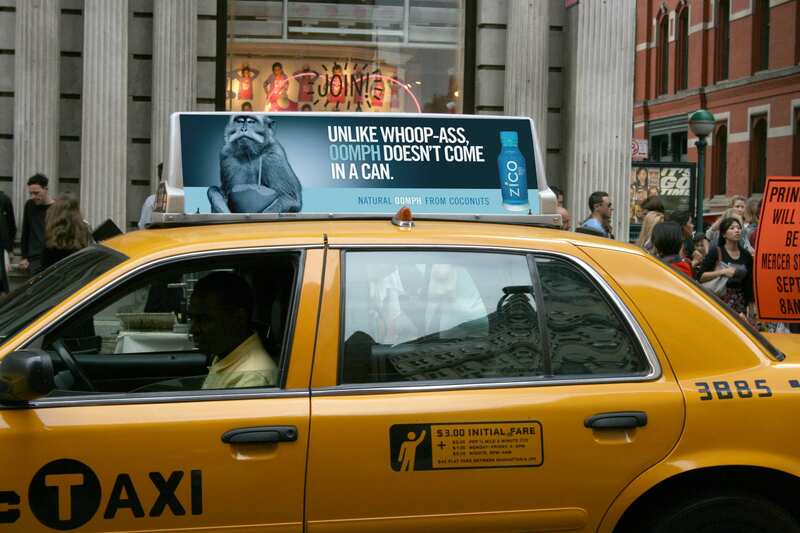 This is advertising done on specially-designed displays installed on top of taxi cabs. In most cases, these displays are rectangular in shape. They can be static or dynamic in nature. Taxi top advertisement reaches literally all types of demographics. It can be used to differentiate a product or service and make a daily impact on the market. Colorful and vivid adverts that are set upon the yellow color of the taxi body grab attention and command maximum readability. Here is more about these advertisements and design. How is taxi top design performed? When designing the tops, the first factor that is considered is whether the advertisement will be static or dynamic. Static advertisements display an image that does not move or interact with the observer. 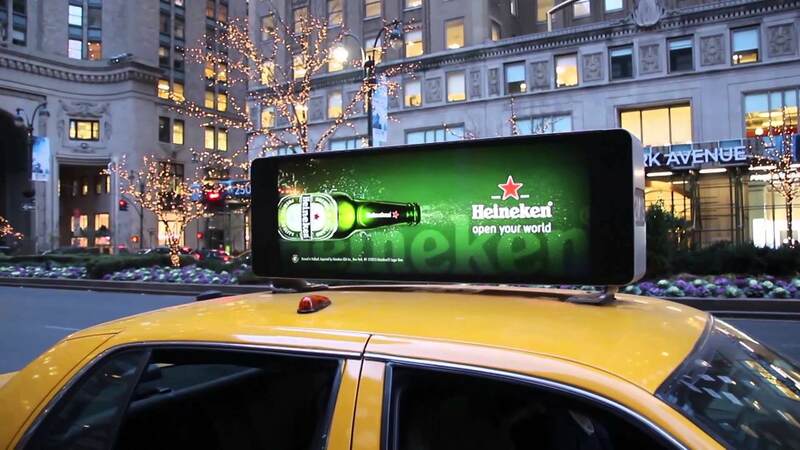 In such a case, the taxi top will literally display a small billboard with a printed advertisement on it. On the other hand, there are advertisements that are dynamic in nature. They have moving images and video upon them. As such, they are eye-catching and can interact with the observer. The design process begins with identifying which type of advertisement is to be created. After that, the necessary materials that are required to construct the top advertisement are collected, constructed and installed on the taxis. Potential uses of taxi top design is primarily applied in developing the adverts seen on top of taxi cabs. Initially, this type of design only involved determining the type of frame that can hold the advertisement as well as the sort of print that would be installed upon it. However, modern technology makes it possible for moving images and vivid video content to be displayed on taxi tops. One of the most innovative taxi top advertisement media is the LCD screen. This is where Liquid Crystal Displays (LCDs) are installed in the frames on top of taxi cabs. With a brightness rating of 3,500 nits and above, this advertisement method displays clear advertisement content throughout the day and night too. Digital advertisement media are installed on special frames that cool the display throughout the day. Thanks to the high-tech nature of these advert displays, a potential use of digital advertisement displays is to entertain and advertise at the same time. What can you expect from high quality taxi top design? There are companies which offer the design and creation of high quality design. They offer you characteristics such as crisp, clear images. By implementing digital taxi top adverts, your audience can easily watch movie-like advertisements that grab their attention. High quality advert design can also display more information than just the advertisement. It can show cab availability and company medallions too. Good quality advert displays are easy to maintain and last for a long time. Conclusion- Taxi top advertisements are an interesting and innovative way to advertise. Facilitated by taxi top design companies, they are a guaranteed way to grab the attention of your target market. Described above, this form of advertising should be in your company’s marketing budget. Varick Street Litho houses an entire graphic design department, providing clients with unique, new material. We keep our clients engaged throughout each step of our creation process in order to ensure the project meets brand guidelines, captures their vision, and appeals to customers. Varick Street Litho has a creative graphic design team and we can bring your vision to life. We serve both the local New York area and with the ability to serve local, national and global markets. We specialize in designing business cards, brand design, logo design, print design, brochure design, catalogue design, poster design, billboard design, signage design, pamphlet design, banner design, flyer design, taxi top design, bus wrap design, building wrap design, vinyl graphics design and much more.